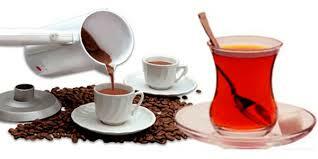 A middle-east trader brought the first coffee beans to ottoman empire, Istanbul in 1550's. At first, coffee beans were eaten wraw. Then a drink was made from the fermented coffee berries. This drink became very popular with dervishes. In the years that followed, coffee became a major part of Turkish social life, lots of coffee houses in Turkey was opened. Historians tell us that coffee was introduced to Europe in the 17th century. Venetians were active in trading coffee beans to Europe. The Dutch had introduced coffee in the second half of the 17th century to America. Novadays, coffee places are very popular all over the world. Except Turkey, because tea is very popular in most places now. 1. Toss all ingredients together in a large bowl. 2. Refrigerate salad for at least an hour before serving so flavors blend. 4. Refrigerate leftovers within 2-3 hours. can of water chestnuts, drained.